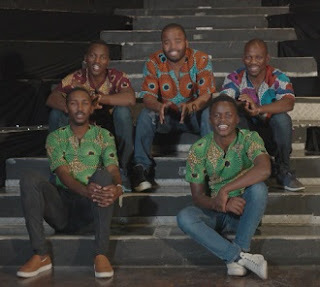 This week’s episode of Africa Voices on March 29, 2019, CNN meets distinctly South African contemporary Isicathamiya A Cappella musical entertainers, Thee Legacy. Deeply rooted in their Zulu heritage, the group rose to stardom in 2015 when they mesmerized audiences with their rhythmic melodies on a local singing competition, Sing It Off South Africa. Though they’ve only been in the industry for a few years, the group has made history for themselves having been nominated for two Metro FM music awards in the same category in 2016 – the only ones to receive that honour.